Simone Biles says the Superstars of Gymnastics offers athletes a chance to do something different and that they can have a lot more fun with their routines at The O2 on Saturday, live on Sky Sports and DAZN. Led by Biles and Max Whitlock, the Superstars of Gymnastics will showcase an exhibition of the very best talent in gymnastics over two sessions at The O2. The all-star judging panel will rate each performance out of ten, with no code of points and an emphasis on flair, creative choreography, execution and engagement with the live crowd. 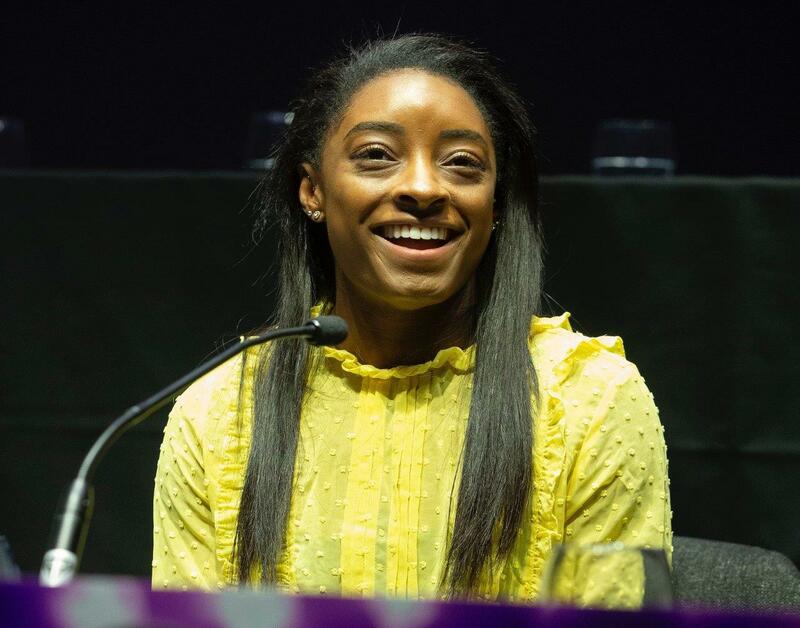 Biles joined Whitlock, fellow judges Amy Tinkler and Laurent Landi and the rest of the line-up for this Saturday’s Superstars of Gymnastics at a press conference in London on Thursday. “We have been waiting a long time for this,” said Biles. “I am so excited to see what everyone has in store for the fans on Saturday. I’m also really looking forward to being a judge. “I am very excited to be here in London. It’s only my second time in London and I’ve never performed here, so it will be something new for me. It is always exciting to see your fans come and watch you and cheer you on, and you get to share something with the crowd when you’re out there. “It was fun to figure what we’re going to go out there and do because we’ve never done anything like this before, so it was a chance to do something very different. Because it’s a showcase it means you can go out there and have a lot more fun. “I have been looking forward to this for so long,” added Whitlock. “Events like this are what gymnastics has needed for a very long time. As a gymnast, for our sport we need to push it as far as we possibly can and our mission has always been to inspire the next generation.